UML Package Diagram illustrates the functionality of a software system. 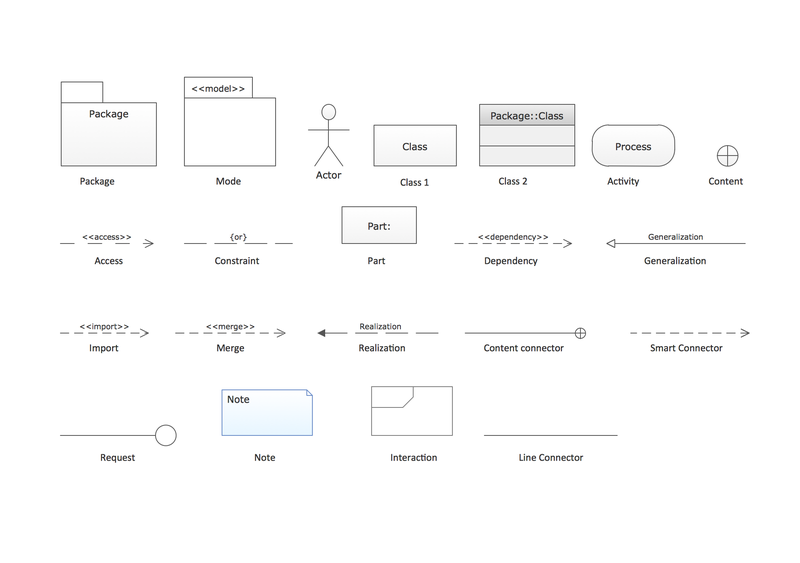 ConceptDraw helps you to start designing your own UML Package Diagrams with examples and templates. You can use the appropriate stencils of UML notation for drawing your own UML Package Diagram. ConceptDraw Rapid UML solution delivers libraries contain pre-designed objects fit UML notation, and ready to draw professional UML Package Diagram. ConceptDraw DIAGRAM workspace is clear and simple. All tools you need for drawing UML Package Diagram are on hand. This is an example of UML Package Diagram for an Layered application model. 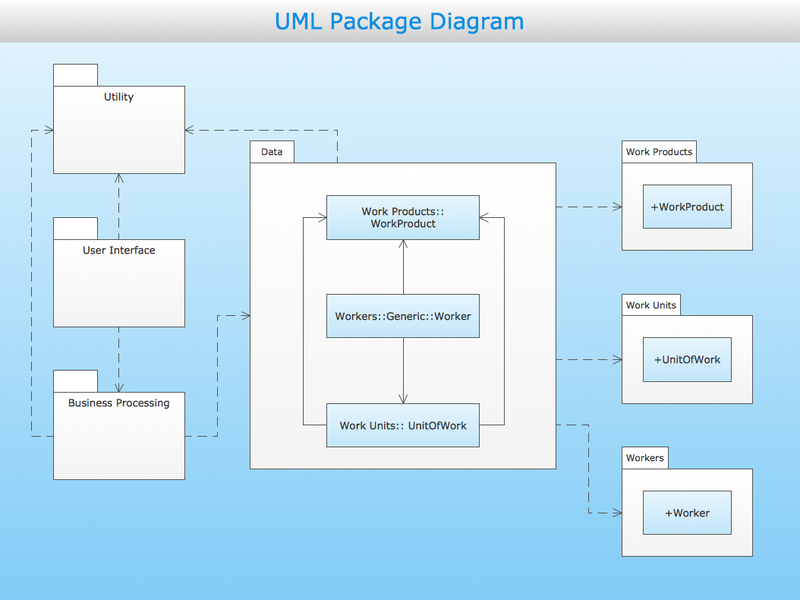 This UML package diagram sample is created using ConceptDraw DIAGRAM diagramming and vector drawing software enhanced with Rapid UML solution from ConceptDraw Solution Park. 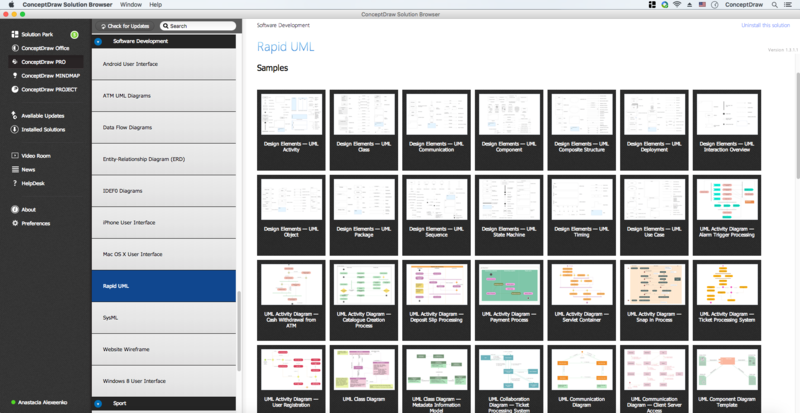 Rapid UML solution provides templates, examples and libraries of stencils for quick and easy drawing all the types of system and software engineering diagrams according to UML 2.4 and UML 1.2 notations. 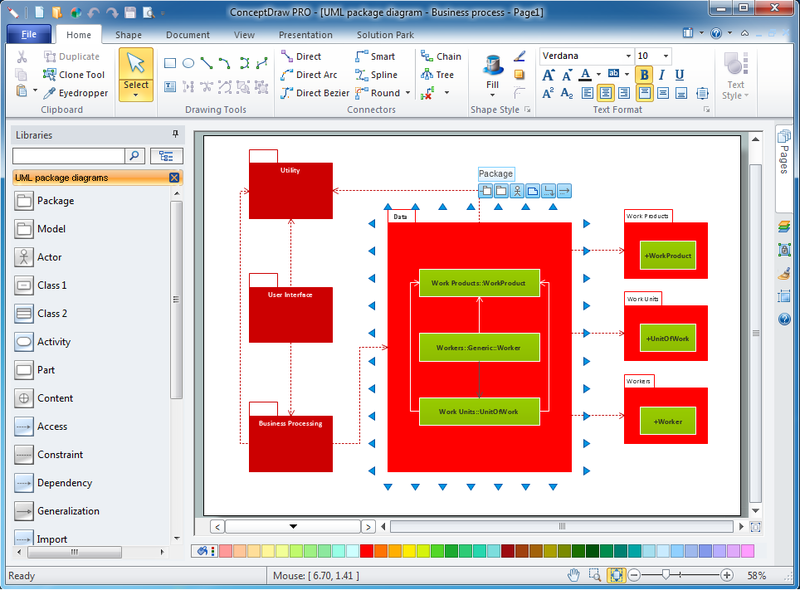 Use ConceptDraw DIAGRAM with UML package diagram templates, samples and stencil library from Rapid UML solution to show the dependencies between the packages that make up your system model. 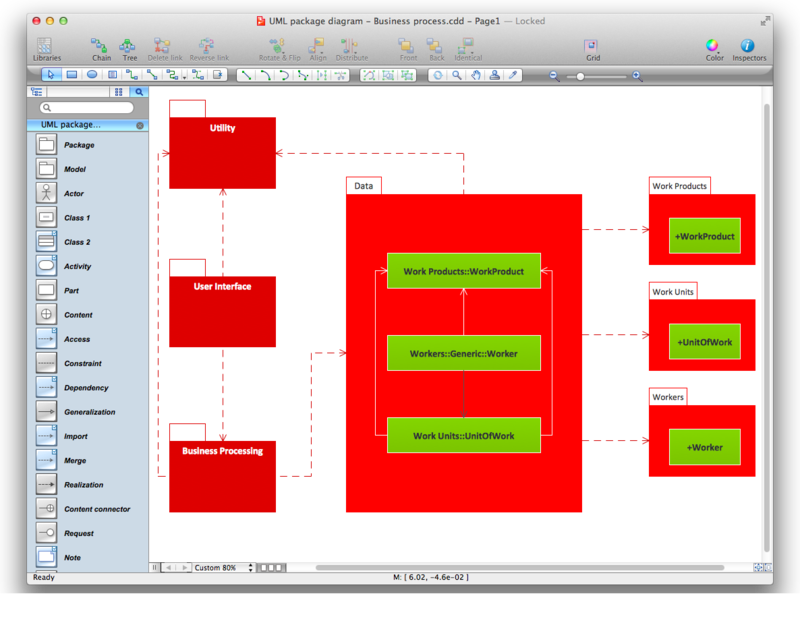 UML Class Diagram can be created using ConceptDraw DIAGRAM v12 diagramming software contains rich examples and template. ConceptDraw is perfect for software designers and software developers who need to draw UML Class Diagrams. UML Package diagramming software with rich examples and template. UML Package Diagram illustrates the functionality of a software system. ConceptDraw has 393 vector stencils in the 13 libraries that helps you to start using software for designing your own UML Diagrams. You can use the appropriate stencils of UML notation from UML Package library.